The additional open thread: Can you see the invisible army edition? The additional open thread: When is a muffin just a muffin? 30 Responses to The additional open thread: Can you see the invisible army edition? I must publically thank Doc for keeping his articles up. I just had great fun rereading the comments to the SCOTUS cites Vattel post. Scott Pruitt has finally resigned. And according to his boss just like every other corrupt piece of crap he’s appointed and who had to resign in shame Pruitt was doing a wonderful job. Huh. Just discovered this thread. Only accessible by clicking the comments feed. So yeah. I can see the invisible army. But it took a couple weeks to discover it. Joe Arpaio says he was duped by Sacha Baron Cohen. I enjoy reading some of the old comment threads too. 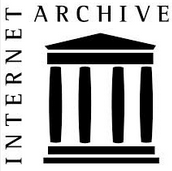 I must publically thank Doc for keeping his articles up.I just had great fun rereading the comments to the SCOTUS cites Vattel post. John Vlahoplus has published the final version of his paper. Senator Ted Cruz’s campaign for the Republican presidential nomination again raised the question whether persons who receive derivative citizenship at birth to American parents abroad are natural born and eligible to the presidency. This article uses Supreme Court decisions and previously overlooked primary source material from the Founders and the First Congress to show that they are not natural born under the doctrinal and historical meaning of the term. It argues further that a living constitutional theory cannot justifiably interpret the term more broadly because derivative citizenship statutes have long discriminated on grounds including race, gender, sexual orientation, and marital and socioeconomic status. The Supreme Court upholds them even though they would be unacceptable if applied to citizens because they merely discriminate against aliens. Moreover, many who assert presidential eligibility or other constitutional privilege for children born to American parents abroad intend to favor traditionally dominant groups or rely on political theories of bloodline transmission of national character that the Supreme Court used to justify its infamous decision in Dred Scott v. Sandford. No justifiable living interpretation can incorporate such discrimination or discredited political theories in qualifications for the highest office in the land. The article examines the meaning of the term “natural born” in the broader context of similar discrimination in English and British law from which American law developed. It acknowledges the difficulty of reconciling centuries of derivative nationality law and practice with our highest constitutional ideals of equal protection of the law. It concludes by identifying threshold requirements for and a possible approach to developing a justifiable theory of natural born derivative citizenship. Cody Judy appears to be dispirited. He hasn’t posted anything on his blog in nearly three months and his Go Fund Me campaign has yielded zero donations. It sounds to me like it’s time for him to find a real job, but he has never demonstrated an inclination to take sound advice. In a move that should make the heads of birthers explode, Trump has nominated Eric Miller and Kathleen O’Sullivan of Perkins Coie to seats on the Ninth Circuit Court of Appeals. Rickey: Cody Judy appears to be dispirited. He hasn’t posted anything on his blog in nearly three months and his Go Fund Me campaign has yielded zero donations. Judy also has not been leaving random comments at the P&E. But that may be even Rondeau growing weary of his word salad. 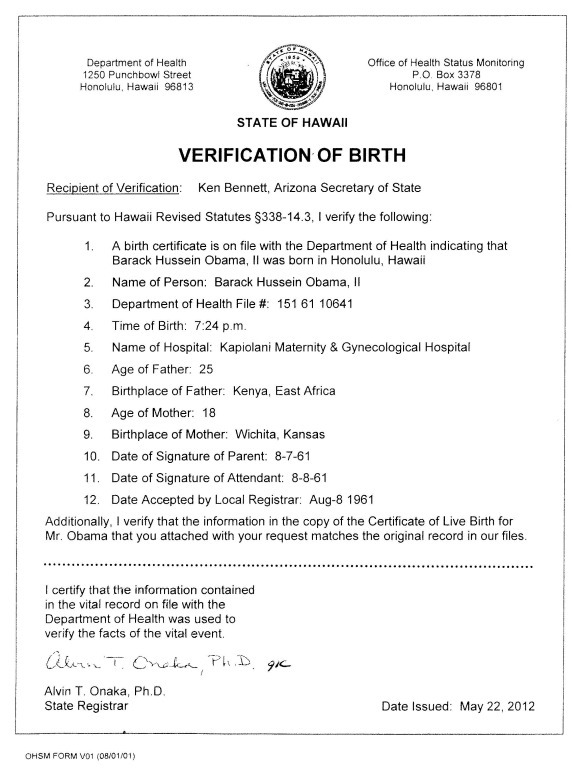 Trump goes all birther on Trump. Dr. Conspiracy: John Vlahoplus has published the final version of his paper. And what is your opinion of Vlahoplus’ paper? Cody needs to find a real job. But you said that already. bob: Judy has posted a series of videos on Youtube. I haven’t watched them, but the titles suggest he went for a multiday fast in a forest and had prophetic visions. Prophetic visions are in. Especially if they claim that Donald Trump has been anointed by God to save America. Another guy mangling the original meaning of “derivative citizenship.” When the law says you’re a US citizen at birth, you don’t “derive” US citizenship– it’s acquired directly under the law. You “derive” citizenship when you become a citizen later, by naturalization, because of something somebody else does. Judy has posted a series of videos on Youtube. I haven’t watched them, but the titles suggest he went for a multiday fast in a forest and had prophetic visions. Fasting has been known to cause hallucinations. It’s called fasting-induced hallucination. I think Judy is one Birther I would consider dangerous and someone who could do something to harm himself or others. His history would suggest that too. Rickey: Fasting has been known to cause hallucinations. It’s called fasting-induced hallucination. Reality Check: I think Judy is one Birther I would consider dangerous and someone who could do something to harm himself or others. His history would suggest that too. Yes, his ex-wife had a protective order and the LDS Church has a lifetime restraining order. He has twice been convicted of aggravated assault. He’s 52 years old, without a real job, and evicted from his last known residence, Now he is unsuccessfully begging for $10K to repair a vehicle that has 280,000 miles on it and probably isn’t worth $1K. I can see where that could turn him into a powder keg. But saying he was “threatened with having committed espinogy” is just SO Zullo. gorefan: That should be “espionage”. Rickey: I can see where that could turn him into a powder keg. Judy’s Facebook feed used to include updates about him and his youngest child doing decidedly normal things, like his son’s sporting activities or their outings to a fair or something. Very typical non-custodial-parent behavior (the child’s mother divorced Judy after he started birfering). Now it is just Judy alone in the woods with endless monologues. The shift in tone is noticeable and disquieting. Dave B.: But saying he was “threatened with having committed espinogy” is just SO Zullo. I think it’s an excellent paper. He dug deeper into original sources than others, and in particular found later writing by people I had relied on, that said something different. I’m almost persuaded that Ted Cruz wasn’t eligible. Pete: And what is your opinion of Vlahoplus’ paper? 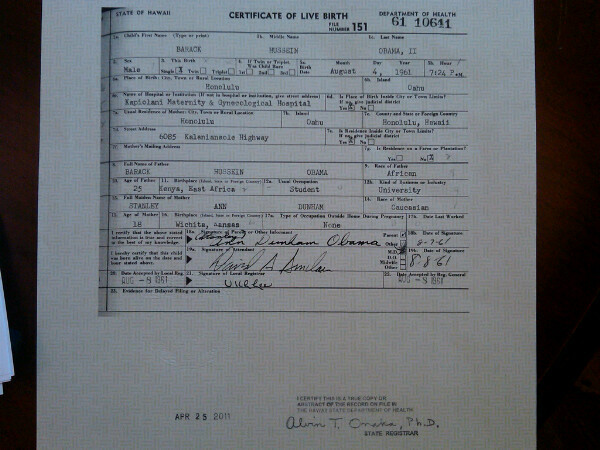 Loren Collins has revised his Secret Origins of the Birthers on his BullSpotting website. He now give the real name of Alan Peters, aka FARS as Ali Pahlavan, not deceased. This is the guy who made that original post at the Free Republic that started it all. “Cruz is on shaky ground. 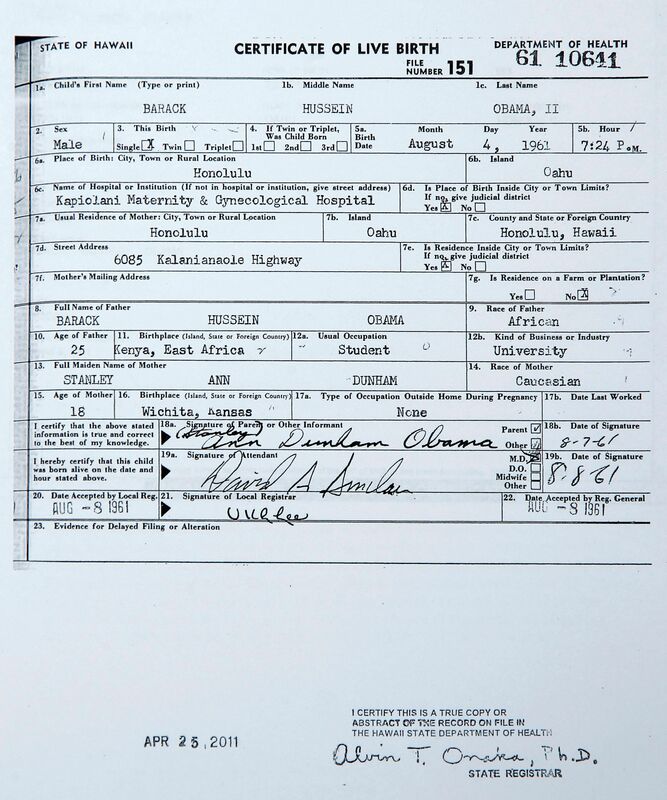 Can’t stand the eligibility test,” he said, after finding out that only one of Cruz’s parents was an American citizen. The article follows this original usage for “derivative” citizenship, and it also acknowledges that other types of derivative citizenship exist, e.g. that which you describe [see page 74 n.7]. Gordon’s third category (“transmission” by parents to foreign-born children) does not exist as a means of acquiring American citizenship. The Supreme Court has expressly stated that citizenship does not descend from parent to child “either by the common law, or under the common naturalization acts. It is incident to birth in the country, or it is given personally by statute.” [see p. 78]. The Court of King’s Bench found the same when interpreting British law, holding that “nationality is a status which must be acquired by or conferred upon the individual himself. It is not a status which can be transmitted to him by his parent.” [see p. 106]. Any statutory grant of nationality is naturalization, whether automatically at birth or by a process afterward, and regardless of whether the statutory requirements relate to the citizenship of a parent or not. As Justice Black explained, “naturalization when used in its constitutional sense is a generic term describing and including within its meaning all those modes of acquiring American citizenship other than birth in this country.” [see p. 82]. As Justice Scalia explained, a person born outside of the United States to an American parent “is an alien as far as the Constitution is concerned, and ‘can only become a citizen by being naturalized . . . .'” [see p. 78]. 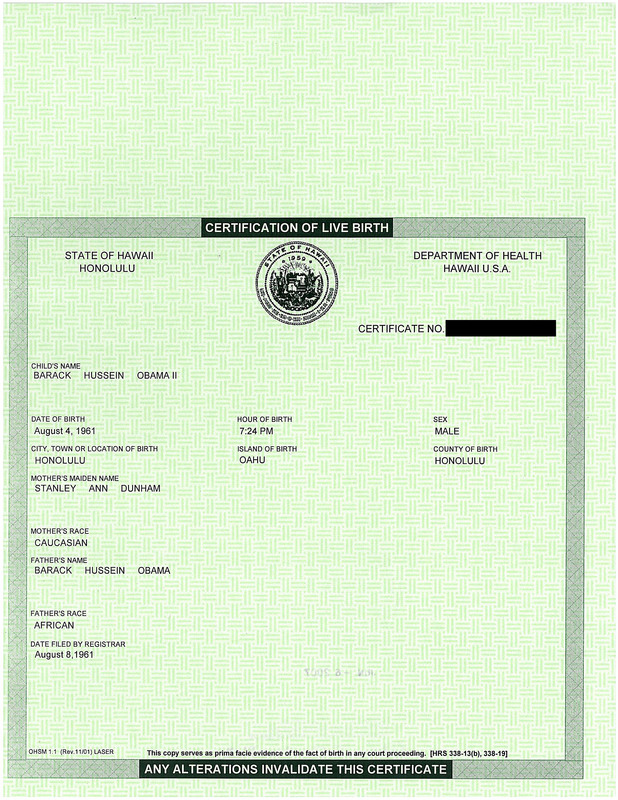 And as a former law officer of the Bureau of Immigration explained to Congress, “citizenship acquired through birth abroad to American parents is a citizenship which is acquired simply because Congress has said, under the authority of the provision of the Constitution allowing [it] to make a uniform rule of naturalization, that birth under those circumstances would be regarded as conferring citizenship, and not because of anything attached to the idea of the blood that ran in a man’s veins which he had gotten from his parents.” [see Naturalization of Individuals by Special Acts of Congress, Hearings Before the Comm. on Immigration and Naturalization on H.J. Res. 79, 67th Cong. 89-90 (1921) (statement of A.W. Parker)]. What you describe as acquiring citizenship “directly under the law” is acquisition by statute, which is plain old naturalization under Congress’s enumerated power to make a uniform rule of naturalization, regardless of the statute’s terms. The only other way to acquire citizenship is by birth within and under the jurisdiction of the United States, which is natural born citizenship under the original Constitution. [see pp. 76-78].